Well, hello February! It seems like we’re the only town to have avoided the snow over the last few days, which is just as well as Jenson hasn’t been in a state to build a snowman. He’s been bogged down with another cold so bad that he’s been coughing himself sick, so we’ve been out of action for the weekend. Not to worry, we’ve been binge watching Paw Patrol and Peter Rabbit – some of the more tolerable children’s programmes. Of course, when Jenson’s poorly it always means less sleep for me, so it wasn’t the best week to give up caffeine. But now that I’ve gotten through a whole week I’m tempted to keep it up. I’ve been off the pill a fortnight and am attempting to eat healthier from tomorrow, particularly avoiding naughty picky food while at work, so I’m trying to do it all in stages. I’m hoping to see an improvement in my mood and sleep habits, so we’ll see. Those certainly aren’t highlights from the last week, so let’s look back at some of the good stuff, ey? Last Sunday was one of the best days I’ve had in a long time. The weather was pretty stormy so we nipped out between the rain showers for supplies. 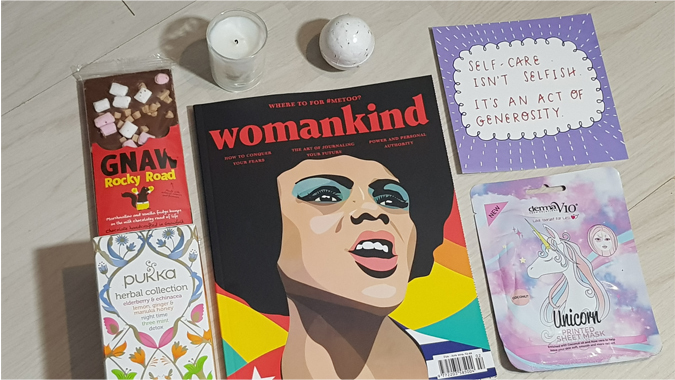 I picked up a Captain America origin story for Jenson (to try and move away from Spider-Man and introduce him to some more characters), a copy of Womankind for me, plus some cupcake ready mix, some herbal tea and a face mask. I’ve been trying to have a self-care night (bath, face mask and podcast) all week but something keeps getting in the way. Hopefully I’ll fare better next week. When Luke got home from work he couldn’t be bothered to cook so we popped out to ‘Spoons. 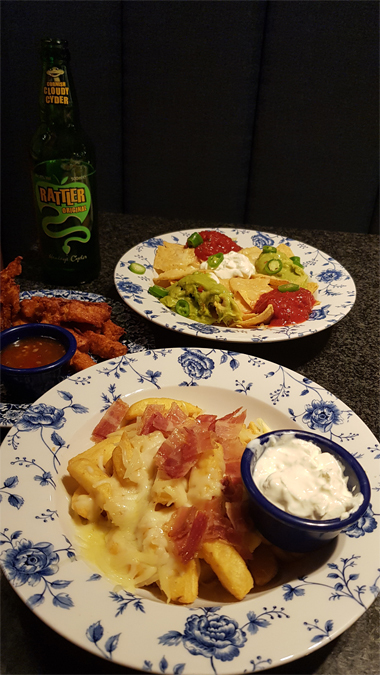 I’d forgotten how much I love Rattler and it was nice to go out for dinner as a family. We bumped into one of Jenson’s nursery friends and let them play together for a bit. It’s lovely seeing him become more confident with others. I won a Books That Matter giveaway and my mystery box arrived this week. 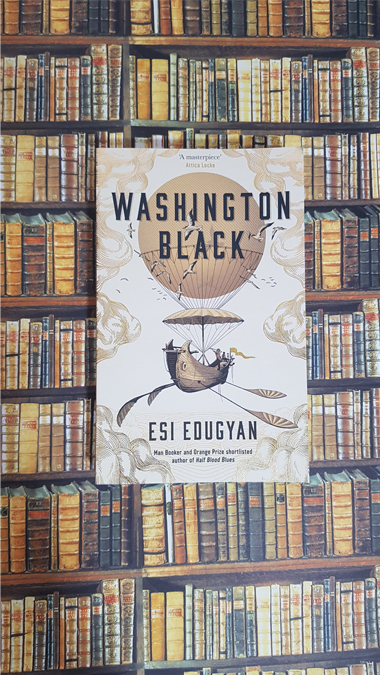 It included a copy of Washington Black, which I hadn’t heard of before. These are the books which usually take me by surprise and completely blow me away, so I’m looking forward to giving it a read. Have you read it? 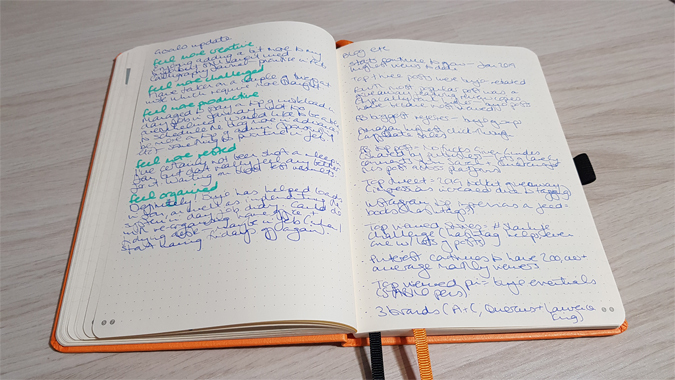 After dipping in and out of my bullet journal over the last couple of years, I’m pleased to report that I’ve been journaling every day for the last month. Reading Ryder’s book has done wonders for my productivity and I’ve definitely gotten into a flow which works for me. I’ve shared a little update here. That’s it for this week; it’s been a bit of a quiet one. I’m looking forward to next week’s commute, as Michelle Obama will be keeping me company. I finally bumped Becoming up the TBR pile. I’m also beyond excited about the return of Grey’s Anatomy to UK screens. I watched the first 14 seasons back to back in one year and it’s the first time I’ve had an actual break from it, so it’s been awful!